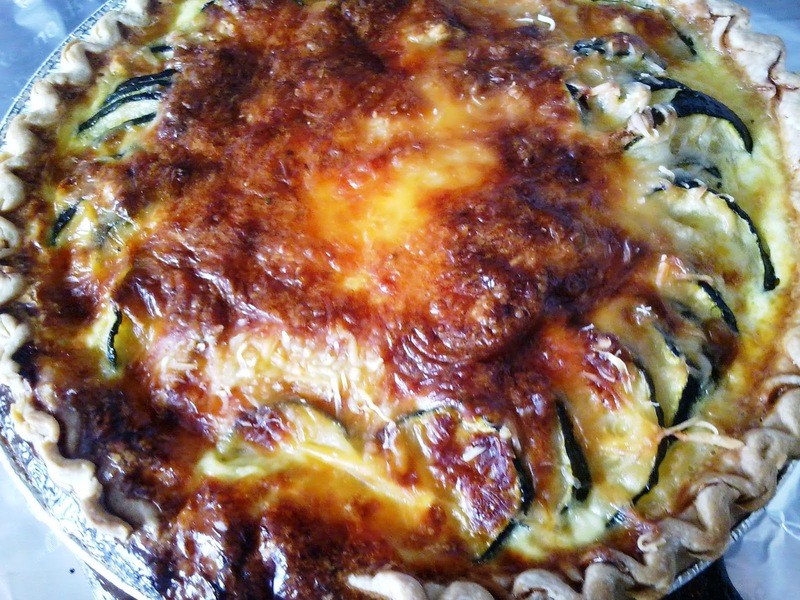 I found this recipe for Zucchini and Caramelized Onion Quiche in this months issue of Cooking Light magazine and from the picture it just looked so delicious. 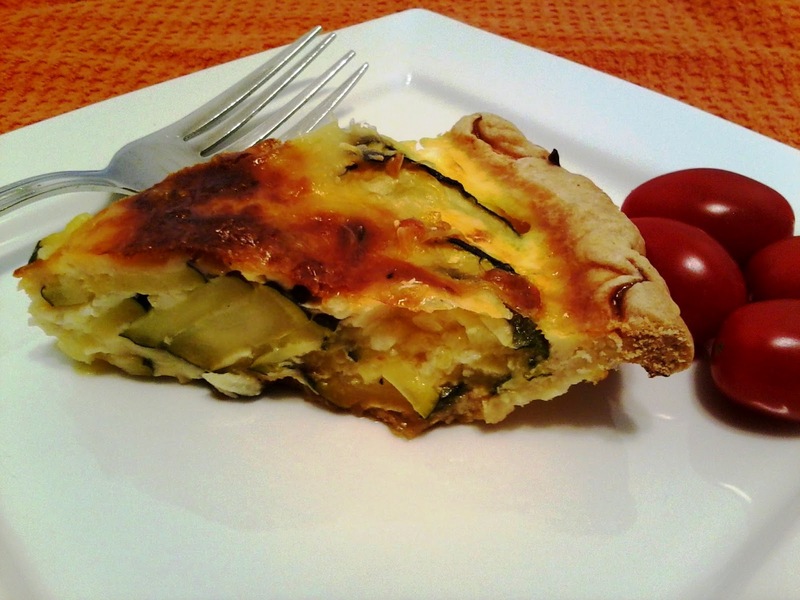 Usually quiches can be loaded with fat and calories but since this one is from Cooking Light, they scaled down the amount of fat quite a bit. This is perfect for any type of meal, breakfast, lunch, dinner or even a snack. You can have it as a side dish with dinner or alone paired with a big tossed salad. Heat a large nonstick skillet over medium-high heat. Add oil to pan; swirl. 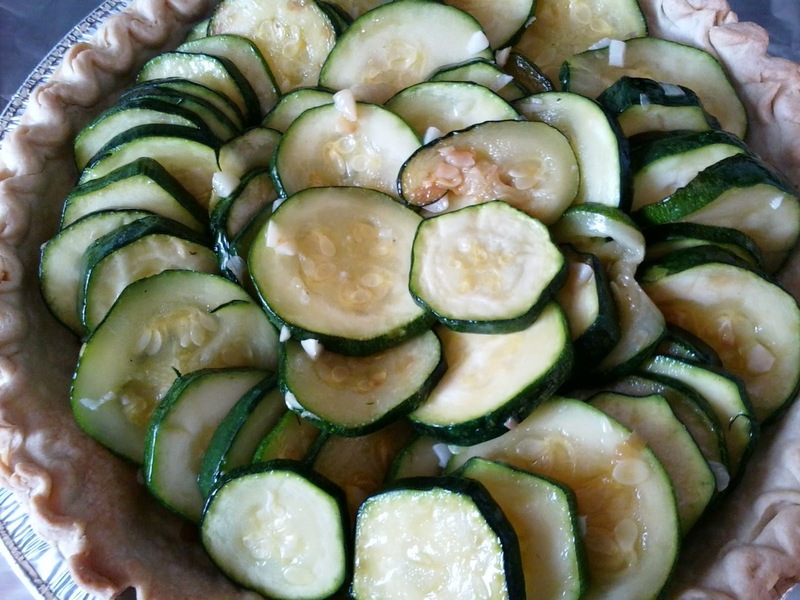 Add zucchini and garlic; sprinkle with 1/4 teaspoon salt. Sauté 5 minutes or until crisp-tender. Cool slightly. 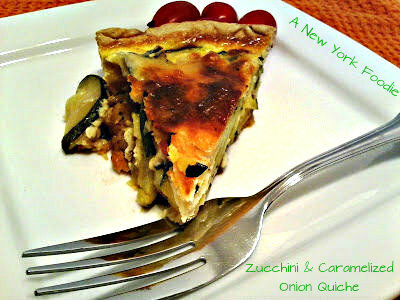 Arrange Basic Caramelized Onions over bottom of crust; top with zucchini mixture. Combine remaining 1/2 teaspoon salt, milk, flour, pepper, eggs, and 1/2 of the cheese in a medium bowl, stirring well with a whisk. Pour milk mixture over zucchini mixture. 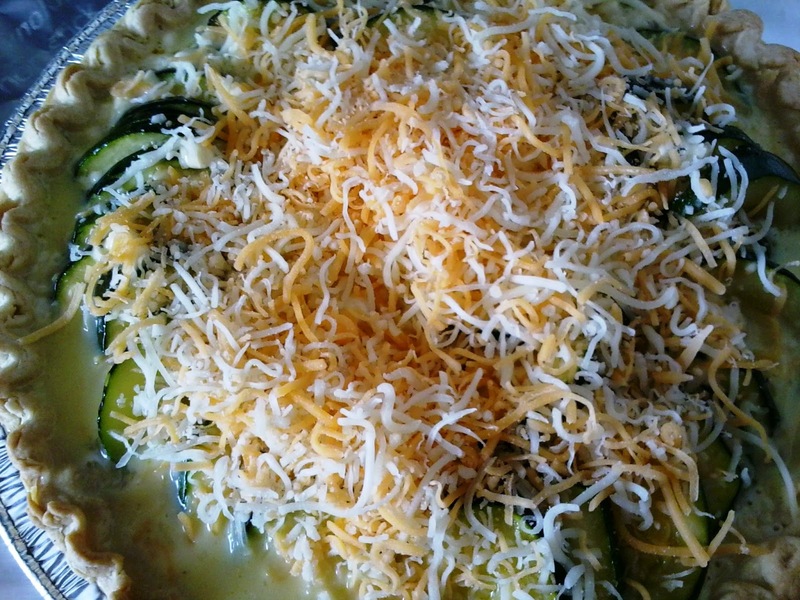 Top with the rest of the cheese. Bake at 375° for 35 minutes or until set. Let stand 10 minutes before serving. 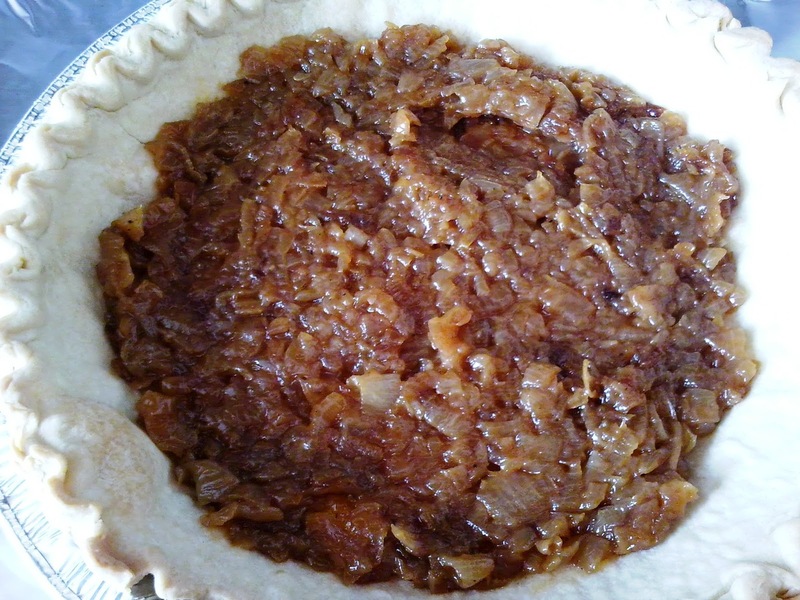 Note: Be very careful when pouring the egg mixture into the pie shell as you will have a lot leftover and it will run over. 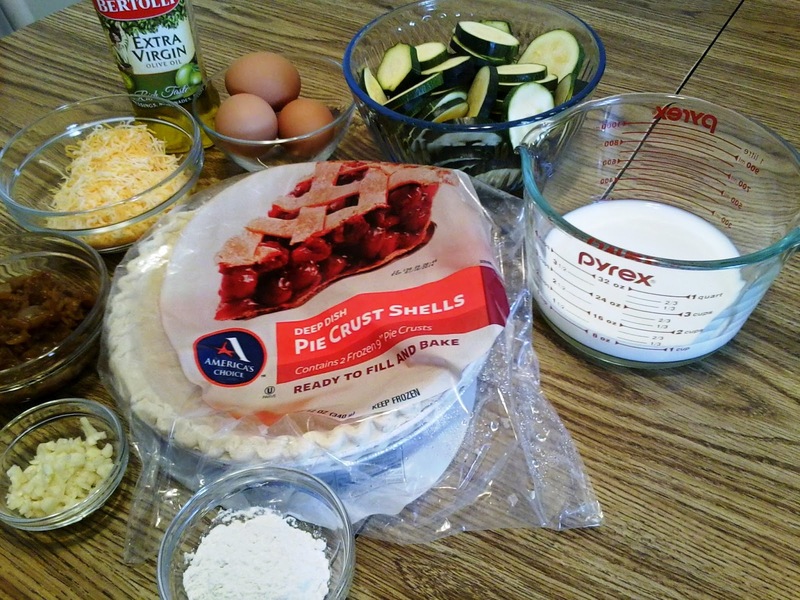 Unfortunately these deep dish pie shells aren’t very deep. Heat a large Dutch oven over medium heat. Add oil and butter; swirl until butter melts. Add onion and salt; cook 15 minutes or until onion begins to soften, stirring occasionally. Reduce heat to medium-low. Add paprika. Cook 50 minutes or until very tender, stirring occasionally. Cook an additional 10 minutes or until browned and caramelized, stirring frequently. 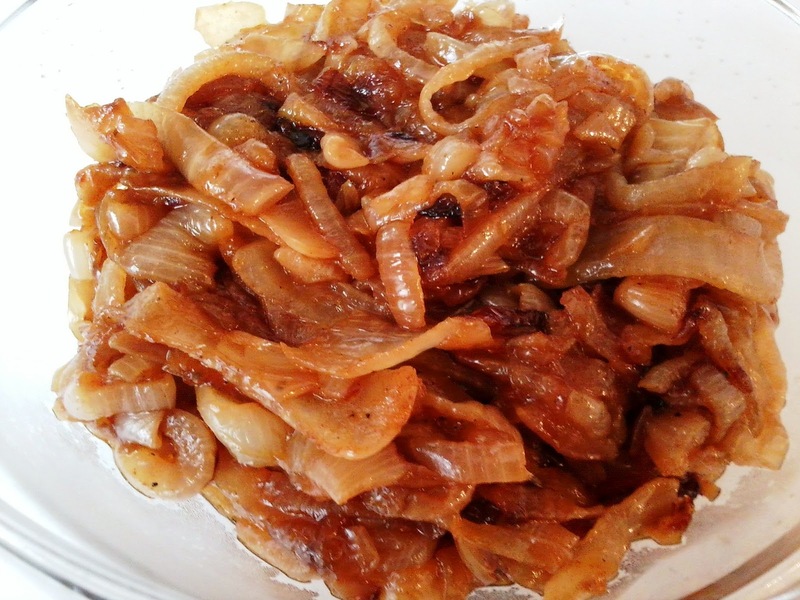 The onions can be made a day or two in advance to save time.